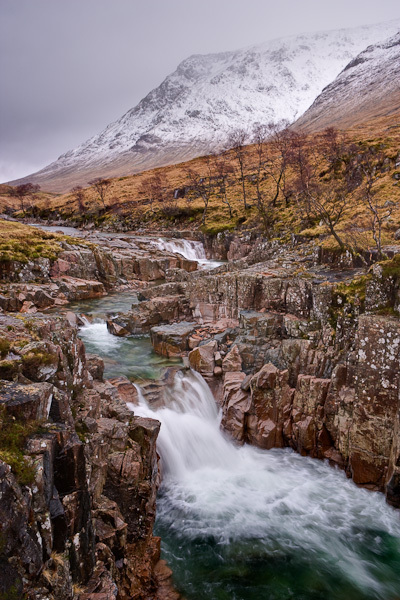 The River Etive weaves its way through the glen, dropping over a succession of rocky ledges. If you want to try your hand at capturing waterfall scenery, it is a fantastic location to visit. The open aspect, with sporadic trees, allows the mountains to form a imposing backdrop.